We work with Australian farmers to ensure that the fruits that go into our juices are nurtured through rain, hail and shine to maximise their taste! 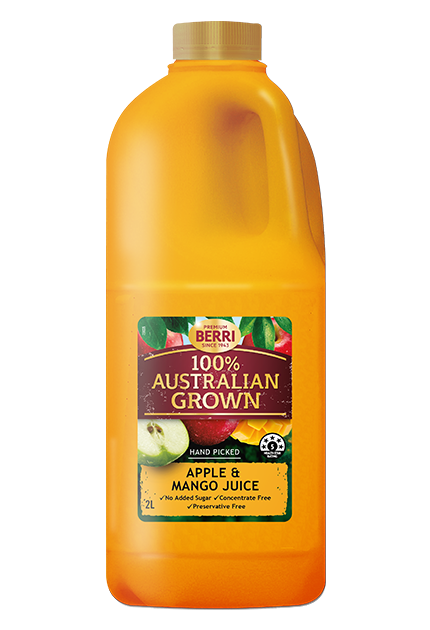 The north Queensland sun is perfect in providing excellent tasting mangoes for this juice, whilst our Riverina apples complement perfectly with its refreshing note. Apple Juice (85%), Mango Puree (14.9%), Vitamin C, Acidity Regulator (296). Contains a blend of fresh juice, cold stored juice & cold stored fruit purées.